Barcelona catamaran offers you some original ideas to organize a stag or hen parties, wedding, fiesta single, company incentive, product presentations, school trips, runnings, photo reports and everything you can think of ... .a board one of our catamarans capable 80, 97 and 125 people (respectively). 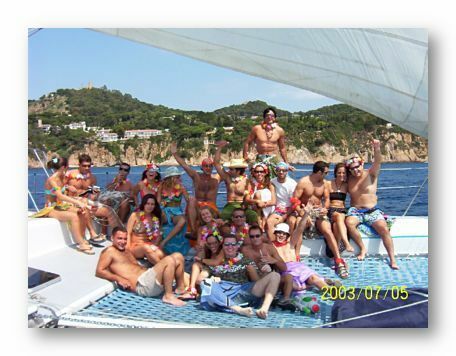 Catamaran Barcelona, performs daily departures from the Port Olimpic of Barcelona, Lloret and Tossa de Mar. 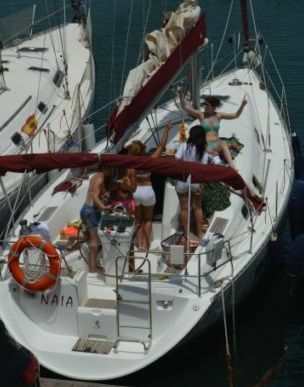 Requests information on the different options we can offer, as well as availability and prices..
CATAMARAN BARCELONA offers you the possibility of renting a sailboat with skipper in Barcelona City, perfect for a stag or hen party, a romantic output or a birthday party. Our boats have capacity for 10 and 11 passengers. 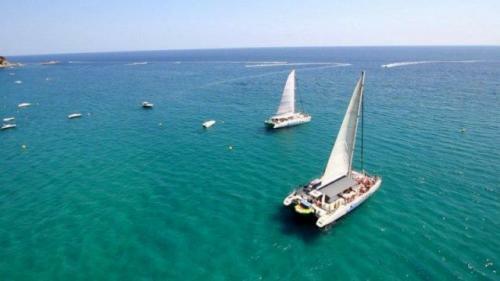 Rent a yacht in Barcelona with BARCELONA CATAMARAN during 3 the 4 hours from 34 euros per person. You will not find cheaper prices! Our offer allows you to enjoy a complimentary beverage (water, soft drinks or beer) and a few snacks (potato chips, salty biscuits and dried fruit), but in addition, each group will be presented with a bottle of cava brut nature. You can also create the output completely to your liking by choosing catering or bringing your own music. This is your chance to watch a wonderful sunset from the sea, experience sailing. 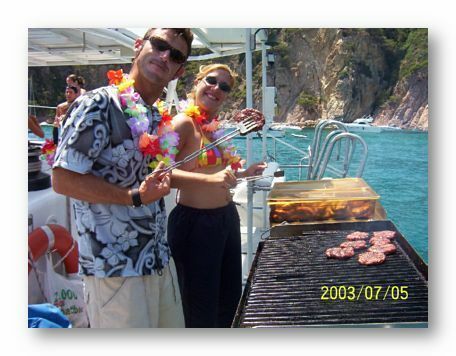 No doubt, renting one of our boats by 1 day, you will be able to leave all of your guests fascinated. 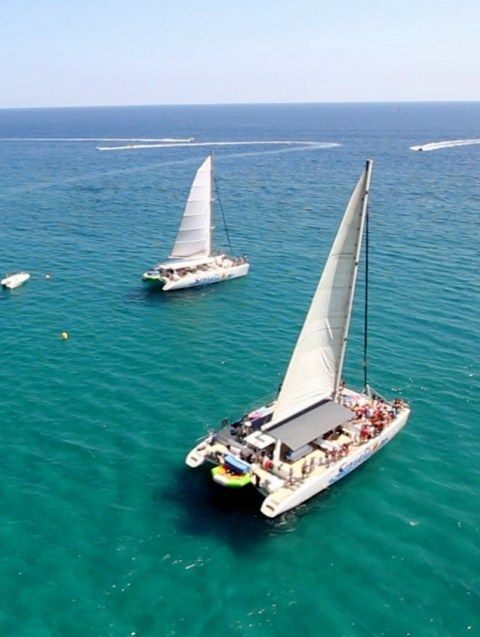 Our sailboats set sail from port Olimpic and are directed towards the North of the city of Barcelona, where the captain can be anchored the boat to provide passengers some time to bathe and enjoy the wonderful Mediterranean sea temperature. 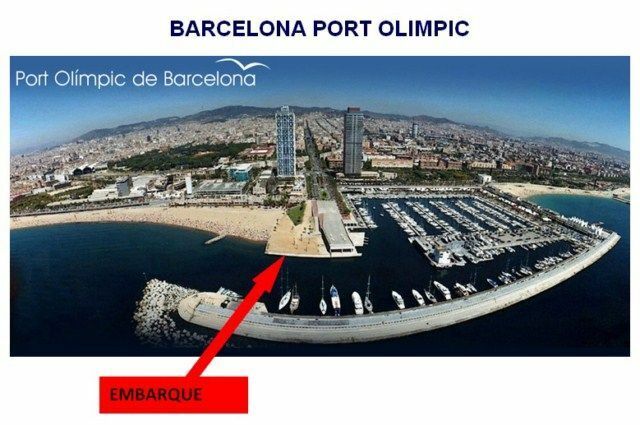 The most exclusive travel can also reach the Port Vell to contemplate one of the best views of Barcelona. This is the basic navigation option and recommended by the captain, Although you can also decide the course to take, the time you wish to stop and navigation mode, the motor sailing. 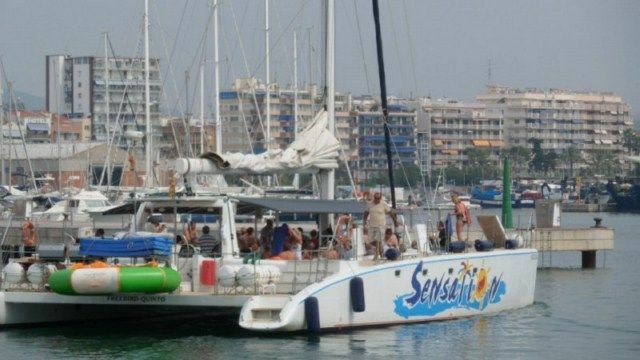 Rent a catamaran in Barcelona has never been so easy and affordable. 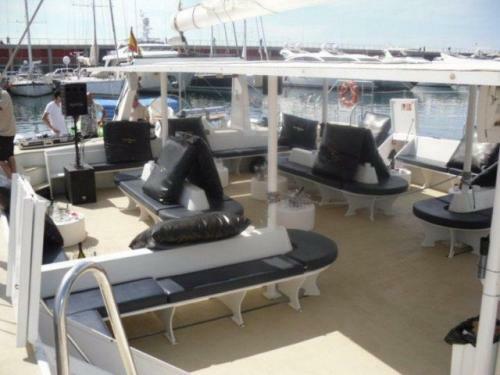 BARCELONA CATAMARAN allows you to enjoy in comfort of these vessels, which have two hulls attached to create a spacious lounge where you can dance, eat the sunbathing. 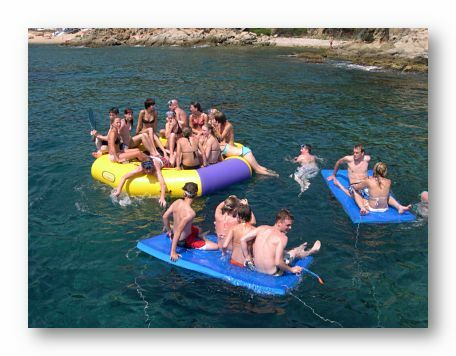 Catamaran boat is ideal for celebrating a birthday, a themed party, a farewell to Bachelor or bachelorette, a company dinner, a wine tasting and even a wedding. In addition, thanks to our extensive fleet, you can find catamarans for 125 passengers or most exclusive vessels for 6 people. 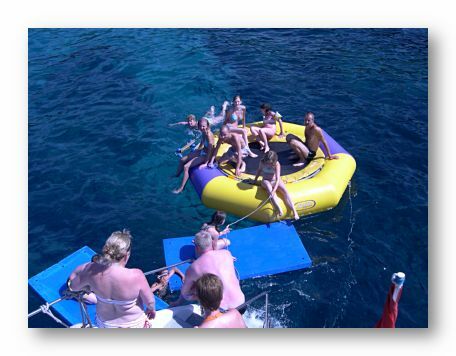 With the catamaran rental you can also include water activities, as the giant donut, the trampoline, the mats and snorkeling equipment. He designed the menu, navigation path, the theme of the party, the music and the type of animation you want us to offer. In addition, you will not find cheaper prices! We are experts in the rent of catamarans CATAMARAN Barcelona. 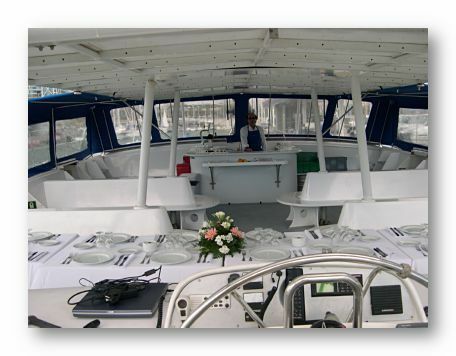 For this reason, we offer a large fleet of vessels for various types of celebrations. 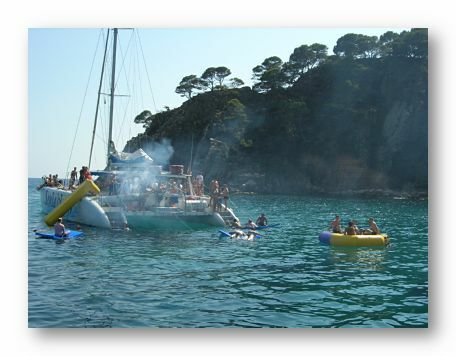 With base in the Olympic port of Barcelona or the Costa Brava, our boats have capacity for 80, 97 the 125 passengers. If you prefer, you can also hire an exclusive service for a minimum of six people. All these catamarans have the comforts and can be adapted to meet the requirements for every occasion. Although normally our customers choose is a type of menu (barbecue, salads, snacks, etc. ), you can fully customize your catamaran rental. Design your ideal holiday and we will make it reality. CAT80. 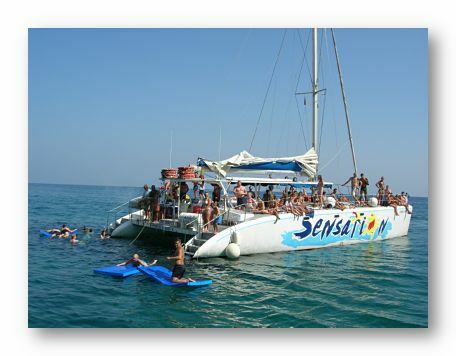 Catamaran with a capacity for 80 people. CAT97. 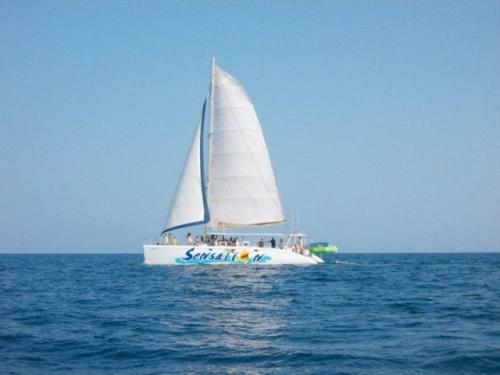 Catamaran with a capacity for 97 people. 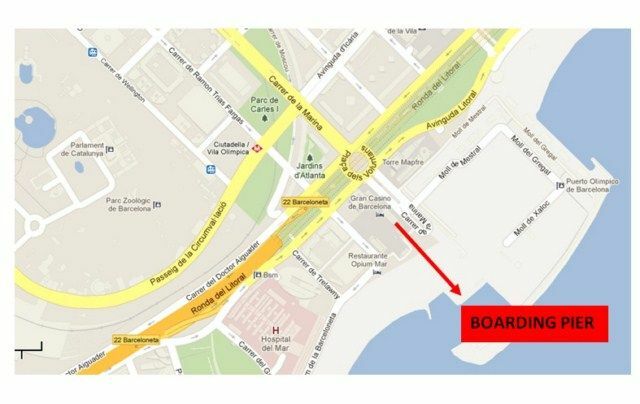 All BARCELONA CATAMARAN boats are moored in the Navy Moll, located at the end of the street with the same name, in the middle of two of the most emblematic buildings of Barcelona: the Mapfre Tower and Hotel Arts, Barcelona. 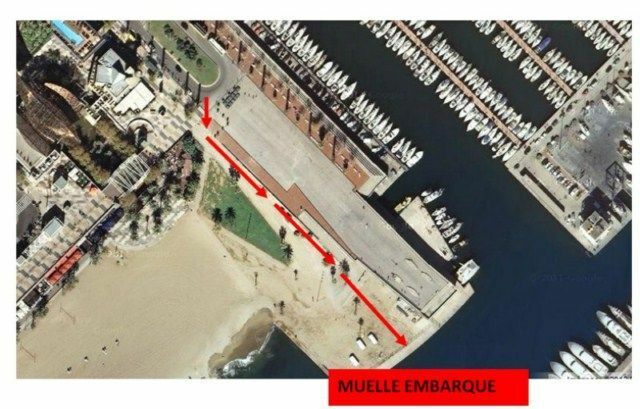 When you arrive, you just stand on the sidewalk on the right facing the sea, down the ramp towards the beach and immediately see the catamaran, in any case, You should never enter the port. Look at the maps shown at the end of the text so you don't miss. It is important to get 10 minutos antes de que el catamarán zarpe para poder tener tiempo de embarcar y partir a la hora prevista. A member of the team will be waiting for you to check that you sales in the passenger list and give you tickets that give you right up and enjoy the drinks that we will offer you next to the barbecue. Once done, you will be invited to make a photo next to your friends, a totally free photo and that you can download on our Facebook page. It is normal that in summer the thermometers exceeds 35 ° in Barcelona. For this reason, in your bag or in your backpack carries a high protection solar cream, sunglasses, a CAP, a towel and a bathing suit. 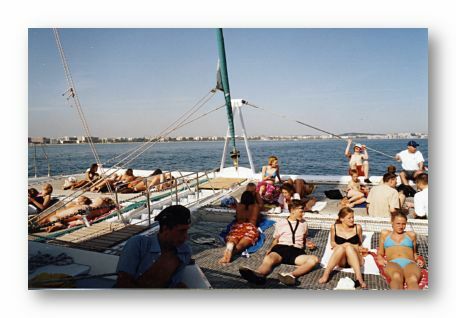 Boat services are available for men and women, so it is possible to change clothes once you're aboard the catamaran. Do not forget your camera to capture all the moments you spend with your family, coworkers or friends, Since the trip will allow, In addition, enjoy beautiful views of the coast. 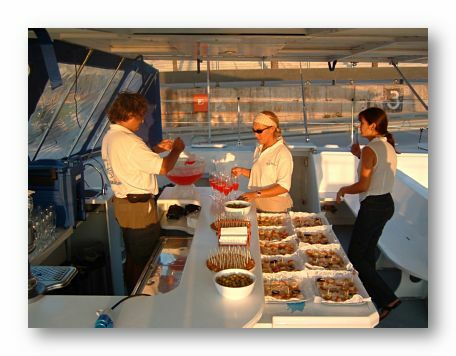 Write to our email infthe@catamaranbWithcelona.com For any queries, to request information or to meet our budgets. You can also contact us from this page, in the form that appears to the right of the screen. If you come any emergency on the day of travel, you can't get there on time or you need to cancel, please call the phone number +34.628.64.1890. Embark on one of our fantastic catamarans and enjoy for 3 hours a wonderful view of the coast of Barcelona, as you soak up the sun in a huge net in the bow. Do not you think the perfect plan for your bachelorette party?? 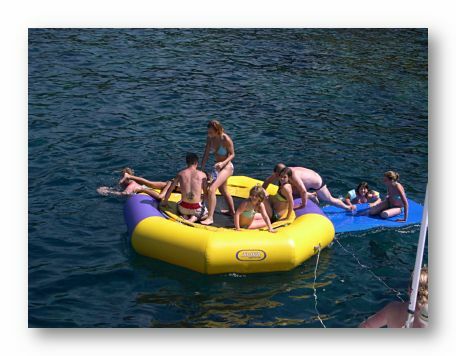 Approximately after an hour, we will anchor in a cove where you will be able to realize diverse activities like: bathing, snorkeling, water mats, floating trampoline and slide.. Throughout the cruise you can consume all the alcohol-free soft drink you want and a sangria or beer ... and a lunch consisting of salad buffet, bbq and hamburger barbecue and dessert. . 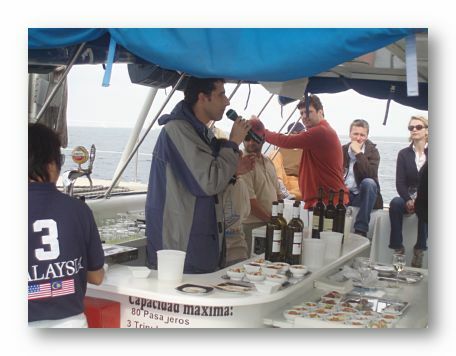 This tour is shared with other groups..
Multihull sailing on the part of the city of Barcelona background is an unforgettable experience. Imagine the sun caressing your skin, The sound of the sea, the smell of the Mediterranean, music and the best company. These holidays, that linger in the memory of our customers, allow you to enjoy extraordinary moments of fun, relax romanticism. Because you choose what kind of party you want to have, and we make your dreams come true. BARCELONA CATAMARAN have a great fleet of catamarans, boats with two parallel hulls of equal size. Thanks to its structure, They are very stable and can extend the range of activities that can be performed on board compared to a traditional single-hulled boat. Go ahead and celebrate with us a theme party, a birthday, a bachelorette party, a celebration for retirement, etc. 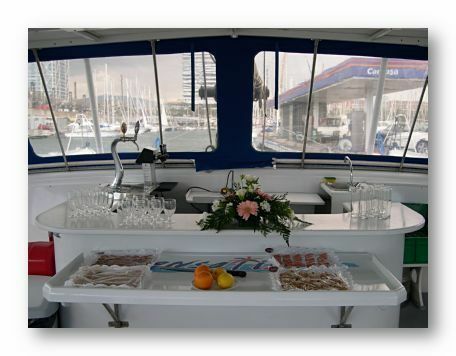 BARCELONA catamaran you can ask a private party boat Barcelona at your convenience. First choose the time of day (morning, afternoon and evening) Design it and then to your liking. 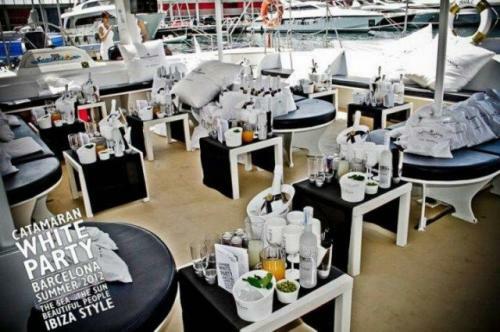 Decántate, for example, a White Summer Party or an evening party boat Barcelona with music and DJ. If you want something more original, Why not a luau, sarongs or beer? Do you like boat parties? Our fleet has 4 capable units 25, 80, 100 the 120 guests. Contact us, Tell us about your wishes and send you a detailed budget. BARCELONA CATAMARAN we deal with all. You only worry to enjoy. 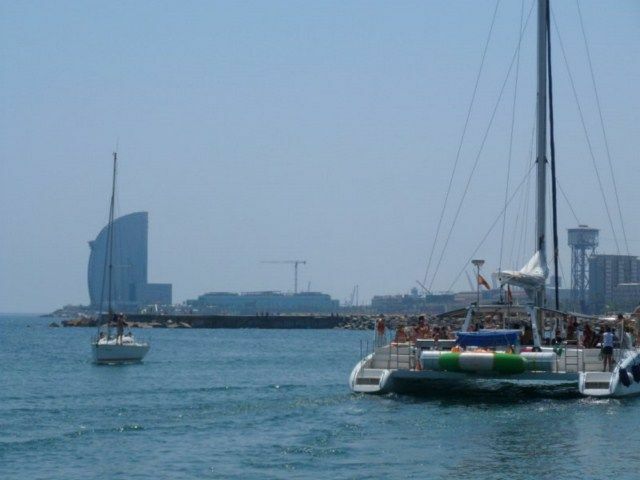 BARCELONA CATAMARAN boats are perfect for enjoying a nice day at sea. We offer our catamarans for you to design the perfect holiday you've always wanted. A night of music and debauchery with friends? Is the most romantic dinner to celebrate Valentine? A betrothal surrounded by your loved ones? A themed birthday? Whatever your desires, we will make reality. But, What is a party without food and drink? 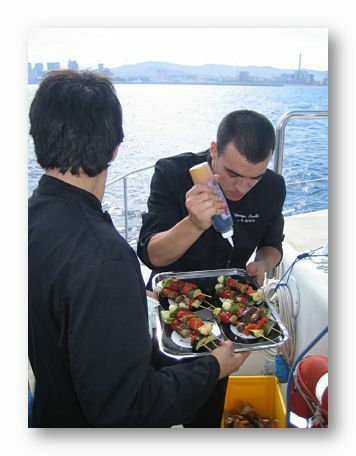 BARCELONA CATAMARAN Catamarans also include a catering service, Of course, fully customized. Our team is composed of competent and professional experts in this type of event. Who has said that a ship can not eat just as well as in the best restaurants! Drinks: water, refreshments, beer and sangria. incoming: green salad, potato and rice. 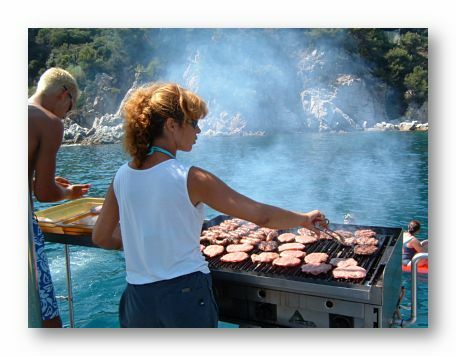 Principal: barbecue with sausages and burgers. 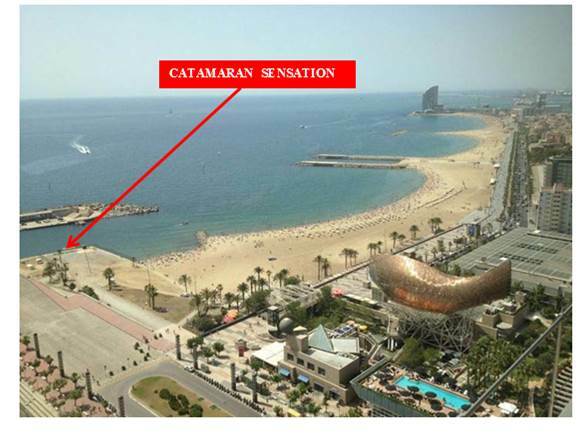 Nevertheless, You know BARCELONA CATAMARAN we work for you. 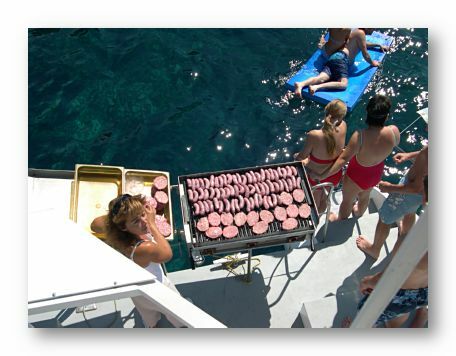 If you want food on a boat, but more exclusive, Contact us and design your custom menu. Do you prefer a buffet of Catalan specialties? A Japanese sushi party based? A vegetarian celebration? Do not waste time and start to organize the party of your life. 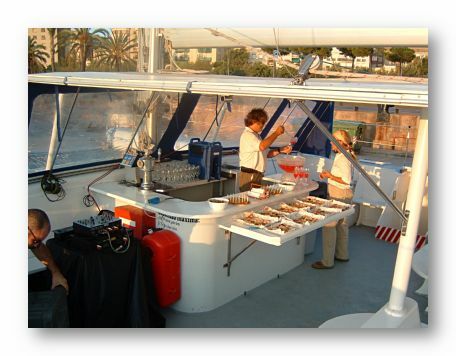 BARCELONA CATAMARAN we are experts in hosting events in Barcelona. All our boats have a very professional and competent crew on these trips. Do you want your guests ever forget your special day? Well, trust us and make the most of the Mediterranean. 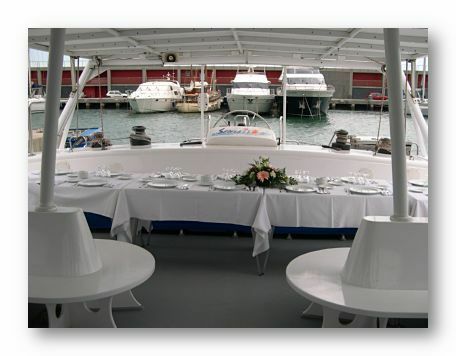 Holding a wedding, a birthday or anniversary aboard a catamaran boat is a unique and different event, hardly comparable. In addition, BARCELONA CATAMARAN we work for our customers, so shalt thou that party design. The only puts limits the imagination. Our boats have capacity for 80, 97 the 125 guests. 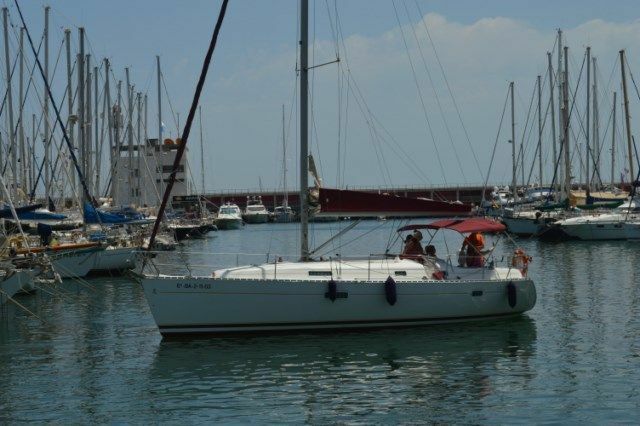 We also have a small catamaran, a speedboat and a sailboat. Do you want to celebrate in the privacy your betrothal? ¿Una original Baby Shower? A exclusive wedding? A surprise party for your parents? 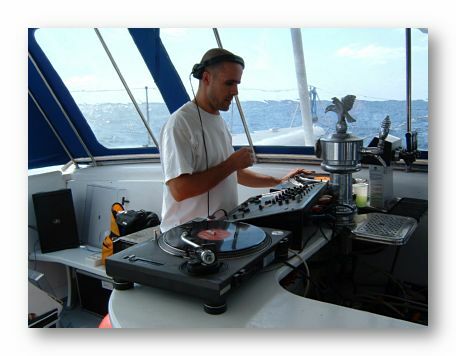 Then do not hesitate and enjoy all the benefits offered by a party at sea. Each customer can completely design the menu of the day. 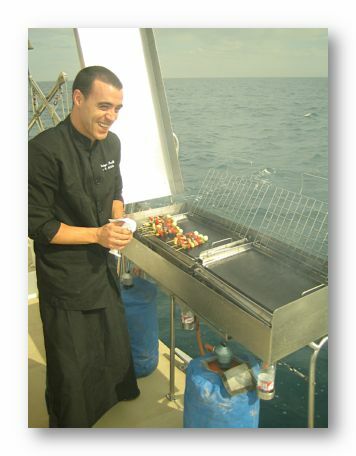 Our experienced chefs will take care of everything is to the taste of the guests. Want some special drink? Is that champagne with you provided the first time you met your future husband? Well, tell us and we take care of everything. In BARCELONA CATAMARAN Catamarans you can dance, comer, drink, laugh, enjoy and play. Makes you how to not have fun like when you were a kid! Our boats allow our customers to bathe in the wonderful waters of the Mediterranean Sea. 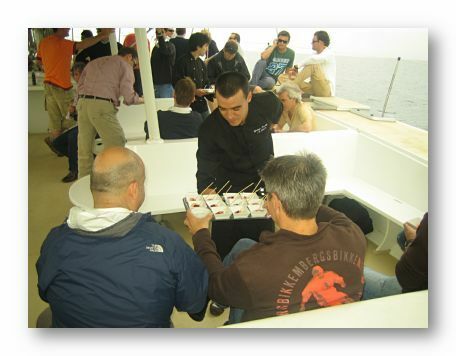 But, In addition, catamarans include a series of games that improve, even more, offshore experience. Do not miss our inflatable mattresses, donuts and donuts. We also have floating trampolines and an inflatable slide. Perfect for an anniversary party, a hen / or, a birthday or a family day, Contact us and organized a very different evening. Barcelona is not one of the warmest cities in Spain. Nevertheless, the good weather of the peninsula makes thermometers easily exceed 35 degrees during the summer months in Barcelona. 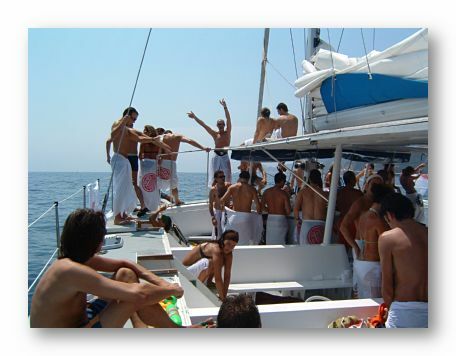 For this reason, takes you to the catamaran catamaran BARCELONA sun cream high protection. Needless to say we need your swimsuit. If you want to make the most of the experience, try this safe and comfortable. So you can participate in all games without any worry. Remember that catamarans have bathrooms BARCELONA CATAMARAN, so you can change you once set sail. Spectacular sunset, barbecue, Dj´s, good music, free bar of soft drinks without alcohol and a sangria or beer. . Departures from Barcelona, Lloret and Tossa de Mar. Catamaran Barcelona offers you , the unique experience of sailing along the coast of Barcelona and at the same time enjoy an authentic barbecue (on board) while enjoying crystal clear waters and spectacular views. .
An unparalleled opportunity for meetings of executives, business people and important clients, all away, from the monotonous environment of an office or convention room.. Ask for information about the different options that we can offer you, as well as availability and prices.. In accordance with what the Organic Law 15/1999, of the 13 from December, Protection of Personal Data (LOPD), we inform you that your personal data will be incorporated into files belonging to SPLASH 04, S.C. in order to be able to attend properly your requests for information and produce any estimates you may request. To exercise access rights, rectification, cancellation and opposition under the Act, They can be addressed by letter to Severo Ochoa, 7B 17320 - Tossa de Mar (Girona-SPAIN) - Spain, Ref. Data Protection.